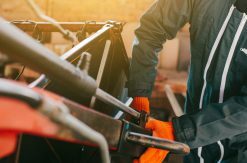 Far West equipment dealers convinced Wyoming legislators in February that WY HB 91, the “Right to Repair Farm Equipment,” would have unintended, negative consequences as written. The Wyoming measure, aimed directly at the ag equipment industry, is among 19 “Right-to-Repair” bills introduced in statehouses across the country in the past year that would force manufacturers to hand over proprietary tools and technology so owners and independent shops can repair equipment. California Assemblymember Susan Talamantes Eggman, D-Stockton, announced March 7 she will introduce similar sweeping legislation this session. Bill language was not available as of March 10. The magnitude of disclosure sought by R2R activists threatens substantial liability for the equipment industry because users could override safety and emissions compliance features, and modify engine horsepower. 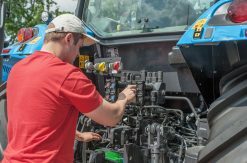 The equipment industry emphasizes the debate involves two similar but very distinct issues: access to diagnostic tools and repair information, and access to software code embedded in machinery or in a device. Nearly a dozen Far West dealers responded to the Wyoming bill with an unprecedented grass-roots effort to inform and educate legislators on the tools and resources already available to owners to diagnose and repair equipment. Wyoming’s R2R bill differs from other states. 21st Century Equipment’s Owen Palm testified Feb. 20 before Wyoming’s House Agriculture, State and Public Lands & Water Resources Committee that HB91 was not the right solution to equipment owners’ concerns. Palm, president and CEO of 21st Century Equipment, along with other Far West dealer representatives in Wyoming including Stotz Equipment, 4Rivers Equipment and Brown Co., were on hand for the hearing. Dealerships including Far West members also signed a letter opposing the measure, referred to the committee by a 55-5 House vote. Dealers hosted a Feb. 21 breakfast meeting with bill sponsor Rep. Hans Hunt and other legislators at 4Rivers Equipment in Cheyenne, Wyoming, to demonstrate the tools customers can access to diagnose and repair their own equipment. In addition to John Deere dealers 21st Century Equipment, 4Rivers and Stotz Equipment, New Holland dealer Brown Co. of Casper, and Cheyenne Kubota attended the demo. “What impressed Hunt more than anything was finding out the 20 or so jobs in the dealership’s repair shop could be done by an owner,” Palm said. “These owners can do the repairs, they just choose to have us do it,” said 4Rivers’ Chris Miller, whose dealership hosted the breakfast. Miller said Hunt also took time to speak to shop techs. Hunt acknowledged the previous two days highlighted the flaws in his bill, Palm said. Feb. 22, the Wyoming House of Representatives voted 12-48 to indefinitely postpone the bill. Nonetheless, the bill is expected to return in a different form since lawmakers think the industry’s timeline for rolling out some of the tools is too far out. R2R bills also seek to compel manufacturers to disclose tools and resources at no cost. 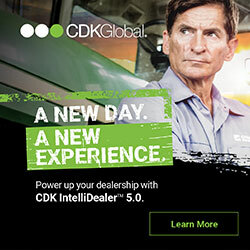 “This puts me at a significant disadvantage because as a dealer I pay for it,” Hornecker said. Far West joined the tech sector and equipment industry in opposing similar legislation in Hawaii, providing testimony against HB 1649 at a Feb. 2 committee hearing. That bill was also deferred by the committee; it is not expected to resurface again this session. The California legislation would require manufacturers of electronics to make diagnostic and repair information, as well as equipment or service parts, available to product owners and to independent repair shops. “The Right to Repair Act will provide consumers with the freedom to have their electronic products and appliances fixed by a repair shop or service provider of their choice, a practice that was taken for granted a generation ago but is now becoming increasingly rare in a world of planned obsolescence,” Eggman said. “Right to Repair” bills have been introduced in California, Hawaii, Wyoming, Illinois, Iowa, Kansas, Massachusetts, Minnesota, Missouri, North Carolina, Nebraska, New Hampshire, New Jersey, New York, Oklahoma, Tennessee, Virginia, Vermont and Washington.